There’s more to construction equipment than excavators and loader shovels. 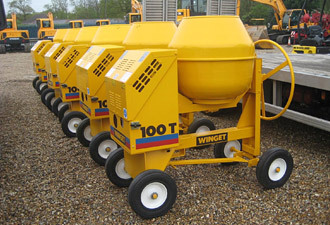 In recent years there has been immense development of materials handling equipment which can operate effectively on tight sites, and where would any construction site be without a concrete mixer or a dumper truck? At Ernest Doe we have a select range of manufacturers who are able to supply good quality plant. Any one of our six construction branches will be pleased to help you choose.